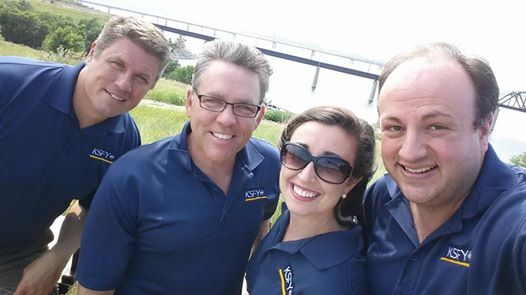 The KSFY News team traveled to Mobridge for the week of July 21 to spend some time enjoying the Missouri River and learning about all the great things happening in this small community located in the northwestern corner of their broadcast area. The weather was beautiful, both for the shoot on Monday and the live newscasts on Wednesday evening. The Mobridge Area Chamber of Commerce was excited to welcome the team to the community. Clips from the broadcasts from 5 p.m. and 6 p.m. are available below!